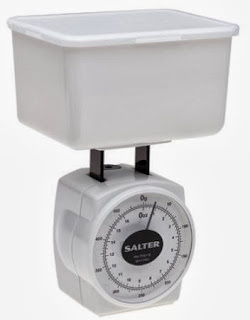 STEAL!Hop on over to Amazon where you can snag a Salter Kitchen Scale for ONLY $.95 right now. 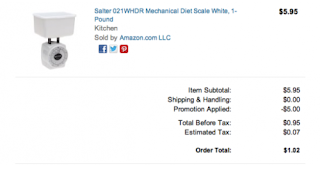 Its on SALE for $5.95 and there is a $5 off "Instant Clip Coupon" making it ONLY $.95. What a BUY!